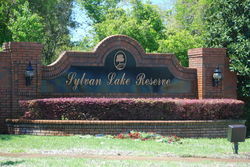 A very well kept community, Sylvan Lake Reserve’s main entrance is off SR46 in Sanford west of Interstate 4. It also has a secondary access point off Orange Avenue just north of Wilson Elementary School. The community was originally developed by Centex Homes in the late 1990s and building continued through to the early 2000s. Approximately 40 of the 216 homes in the community are directly on Lake Sylvan. Those lakefront homes are mostly custom homes which were built by other custom builders. 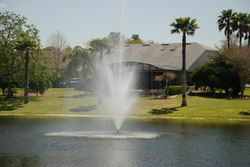 There are also a few pond front homes throughout the community. There is a community tennis court and playground for residents. There is no direct community access to Lake Sylvan within the community itself. Shopping and restaurants are located nearby at Dunwoody Plaza, Seminole Town Mall and the Colonial Town Center in Heathrow. Access to I-4 is excellent via SR46.